Before we get on to talk about JazzTube, let’s talk a little about your own Jazz background Thomas. What are your first memories of hearing Jazz? And what inspired you to go from listening to wanting to actually play? Well, I think it was watching the ZDF Jazzclub on TV late at night in the 80’s at the age of 13. I was sitting in front of the telly, wearing headphones and listening to The Maynard Ferguson Big Band, Cab Calloway and his Hi-De-Ho Orchestra and Carmen McRae, to name a few I remember, recording the music with tiny ghetto-blaster on analog compact cassette (MC) to be able to listen to that great music again and again. I really dug into jazz music by watching the movie ‘Round Midnight’ at the Rex cinema in Endenich. I Think it was 1986. This movie was my key to understanding jazz and its soul. Don’t forget all the great musicians who played in that movie: Dexter Gordon, Herbie Hancock, Wayne Shorter, Tony Williams, Billy Higgins, Bobby Hutcherson, John McLaughlin, Freddie Hubbard, Ron Carter and many more. This was love at first sight, when I heard it in TV-Shows. The sound, especially the tenor sax, was very familiar to what I heard in my mind. At this time I didn’t think a lot about playing solo and being “cool”. And who became your Sax hero(es)? Well John, that’s a big question….puuh…. There are many great Sax Players I like very much. Everybody has his own language. But I will tell you who comes in my mind first. The overall hero, of course is Dexter Gordon. His way of playing a note as big as a brick, his melodic lines and interpretation of timing hits me deep in my heart. For me, His Blue Note Years are unbelievably good and beautiful. When he plays “I’m a fool to want you” on the album Clubhouse everything is said. During the last years I dug deep into the musical work of Benny Golson, especially the recordings of the Benny Golson/Art Farmer Jazztet. Man, this guy is an elephant! His way of playing is so complex but works out so simple, it’s gorgeous. But don’t forget John Coltrane for crossing the borders of Jazz music. Contemporary Jazz wouldn’t be where it is without him or Wayne Shorter. By the way, John Coltrane was a buddy and session mate of Benny Golson and he introduced Benny to Miles Davis as arranger and composer. And listen to Paul Desmond too, his wonderful lines, the most beautiful sound on Alto Sax. When listening to Paul you know why the saxophone is a woodwind instrument and not brass. …and Hank Mobley…Mr. Hardbop himself…. Sax turns up in a lot of Rock music too of course. Clarence Clemons with the E Street Band is a famous example. Have you ever played, or wanted to play, in a Rock Band? Hmmm…sure… I like listening to good rock music, I also have pop, rock and classical records at home not only jazz records! But that way of playing the “rock saxophone” is not my way. I, and it’s my own personal view, feel this way of playing is a bit overdosed. I played a lot Blues and also in a Funk-Band inspired by Prince – Eternal Erection, The Time, Bar Kays etc… It was great fun but I always played my way and not that typical rock saxophone style. That’s what I would tell everybody: play your own way, discover your own musical language, open your soul and tell what you have to tell. Don’t get lost in posing on your instrument. If you want to reach the people, be honest to yourself! Then if your sound becomes what others describe as a typical rock saxophone sound, then ok.
Coming back to rock music, I’m a big fan of George Clinton and the P-Funk Allstars. One of my favourite rock/funk tunes is Maggot Brain played by Eddie Hazel. But there is no saxophone! You went on to not just play, but also teach saxophone. How did that come about? Let’s go back to the 80’s when I was 16. I invited my friends to my house and whilst we were talking and generally gossipping, I played jazz music on my small ghetto-blaster just to convince them also listen to that great music. I wanted them to hear what I got out of it. I learned (actually I still do learn and this will never change) how to play the saxophone and it’s become my tool to get the kids, youngsters, students and adults addicted to music, especially jazz and of course to the instrument as well. So I’m on a mission, on a mission for jazz! Is there a typical type of person who wants to play sax? No. I think everybody chooses his or her instrument because of the sound, and what it does to them when they listen to it. It doesn’t matter if you’re aged 5 or 50. If you play long enough on an instrument, and you play with others ,you get into some typical behaviour of that instrumental group. How did you come up with the idea of Jazz Tube ? Was it the sheer number of keen Jazz students looking for a place to play that inspired you to create the Jazz Tube Season? Tell me about the early days of it, getting the SWB on board and organizing it? Sure that was certainly one reason. 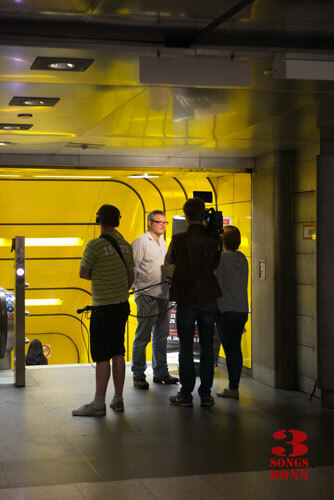 There’s a real need for small spaces, not big halls, where musicians can play. Especially venues where people can play with a concert character and not end up as a’living stereo’ in the bar. My Dream is a Jazzclub, as we had in 2006/2007 with the “Jazzkeller” in Kessenich on Burbacherstrasse. Jazz concerts 4 times a week from Wednesday to Saturday. I was responsible for the booking and we did around 150 concerts there with musicians from all over Germany. I really would like to do it again. I didn’t ask the SWB (Stadtwerke Bonn). They actually asked me about developing a concept. – Wow ! So I knew it was a big chance for all the jazz musicians in Bonn, and also for the city of Bonn itself. Having this responsibility in mind I thought about it for two weeks, then sat down and wrote the concept. Inspired by cities like London, Paris and New York and my personal impressions of music there, knowing how these cities handle street music, JazzTube Bonn was born. And then….yes, it’s gonna happen !!! The SWB and myself were absolutely in line, only details had to be talked through and the Co-operation is working really well right through to today. So, also in the name of the musicians and the audience, a BIG HAND and a big THANK YOU to the SWB! What sort of musicians apply for slots on Jazz Tube? And how do you choose who plays? It’s JazzTube, so the musicians who apply for a slot do act in the Jazz context. But of course ‘Jazz’ is really a complex term and influenced by so many other styles – Pop, Rock, Funk, Soul, Blues, Latin etc. So there are many possibilities! For me, the first and most important thing, is the quality of music a band offers. Another important thing is the support of the local Jazz scene. But also, the local scene needs influence and inspiration from musicians outside of Bonn, to keep it alive and fresh. With that in mind, I make announcements via my jazzinconcert.com newsletter and also in many social networks. But I also browse the Internet for bands that may suit JazzTube. Each year lot’s of bands send promo material – A big THANK YOU to them all for that, and even if it doesn’t work out this time, try again! I really want you all to play and the selection process is extremely hard, but sadly I have a limit! It’s important to have a variety of styles to come as close as possible to the varied listening public’s taste in music and to make the event interesting. Now just starting its fourth year, Jazz Tube is going out on Saturday mornings too. Is this a result of excess demand for places? Not really, compressing JazzTube over three weekends in a row is better for promoting the event. Also I think the people will keep the dates in mind better. In addition to that it gives JazzTube a more festival character – and actually, the quantity of bands is the same as before: 15. It’s also true that there aren’t so many tube stations offering enough space for a crowd listening. But JazzTube has to take place in those locations. That’s what it’s about. What are your thoughts on Jazz Tube now after four years? Did you expect it to become a popular part of Bonn’s Summer Music Season? Why do think it has become so popular? 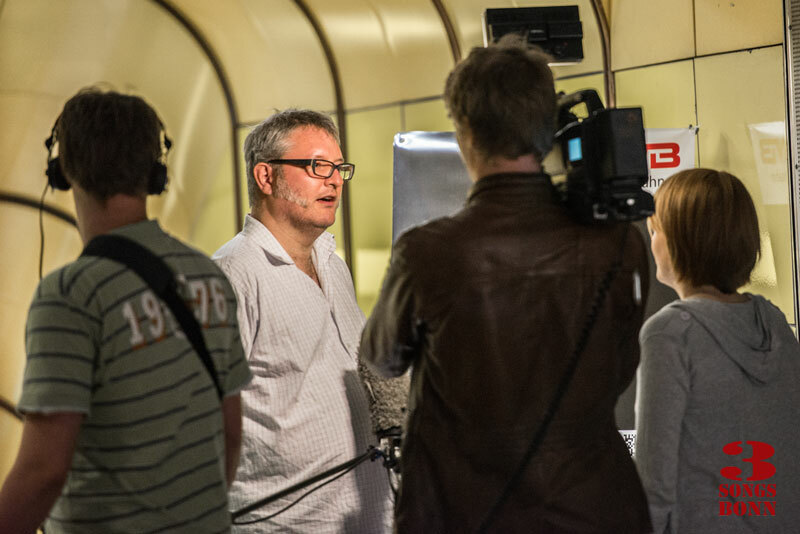 Last year, especially after the final concert in the LVR-LandesMuseum Bonn when the house was packed with 300 People, I thought “JazzTube has finally arrived in Bonn”. Sure I expected it to become popular. I had been thinking a long time about it while developing the concept. But as the world`s crazy, you never know what’s gonna happen. What makes JazzTube, is the touch of big city atmosphere and internationality, the ease with which visitors can encounter the music, the possibility to just to stop on your way home and listen to good music after a hard week of work. JazzTube brings a lot of life and culture into the city and ultimately, it is a lot of fun for everybody, the musicians AND the audience. 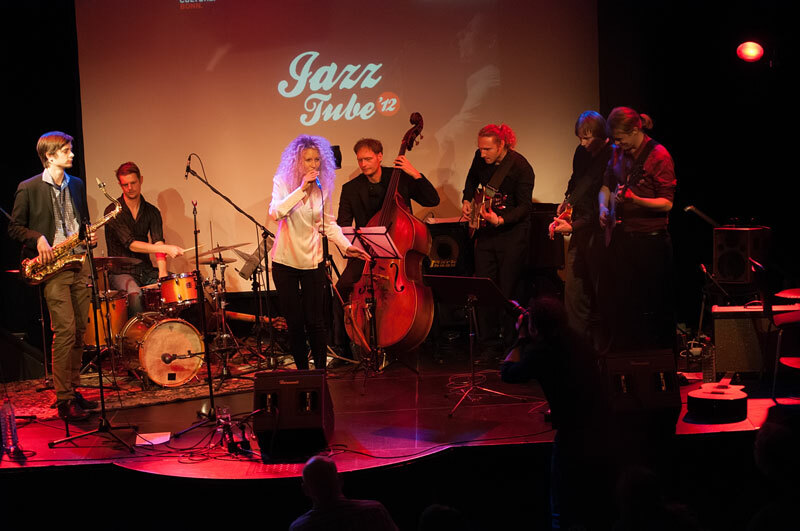 JazzTube has even become a hallmark of the international music city of Bonn as even international bands ask for a slot, as long as it fits in their itinerary. Nowadays anybody should consider this, while discussing Bonn`s future. You are a pretty dedicated Jazzman (= very busy!) 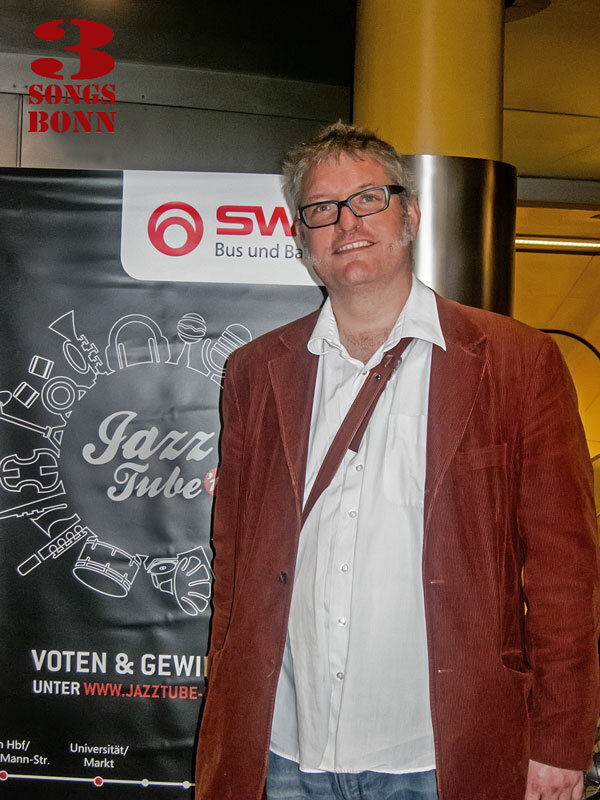 In addition to teaching Sax and The Jazz Tube Season you are also in a Band (Barcode), A local promoter with JazzInConcert.com bringing international Acts to places like the Pantheon Casino, and you are a founder and Bandleader of the Bonn Youth Jazz Orchestra. Have I missed something out?! What keeps you wishing for such a deep level of involvement in Jazz Music. You almost got everything – also I play in the great BONN JAZZ ORCHESTER (Bandleader is Oliver Pospiech) and I have a Jazz quintet called “Thomas Kimmerle Jazztet” where we play all the blue note stuff. Last but not least, I’m organising a little three days concert series in Tegernsee/Bavaria. What drives you on with all the jazz involvement Thomas? It is the desire for quality of life in my home town Bonn. Jazz music is so rich and beautiful, it should be there for eternity. I’m often told Jazz is so complicated, and people don’t understand, but with my work and the JazzTube I show them that it’s easy and worthwhile listening to it. The ‘regular’ visitors to Bonn playing Dixieland/New Orleans Jazz seem to be getting older (Semmels Hotshots, Rod Mason’s Hot Five…) Are young Jazz musicians still interested in traditional styles like this do you think? Young musicians are always interested in all styles of music, they are curious. Important is the way it is presented to them, the first touch. Having heard more than most people the next generations of local Jazz men/women, where do you think the Jazz Scene in Bonn/Cologne is going in the future? That’s right, I’ve had the chance to listen to a bunch of “next generation bands” during the JazzTube preperations. I really can’t say what’s going on in the future though, because there is so much movement and influence all the time. But it is important that there are spaces where young musicians can play, develop their musical language and process today’s musical trends. It is very exciting, and there is an incredibly high potential in our region. The range of musical education here is higher than average. And what are your own Jazz plans for the future? To plan the next JazzTube 2016! 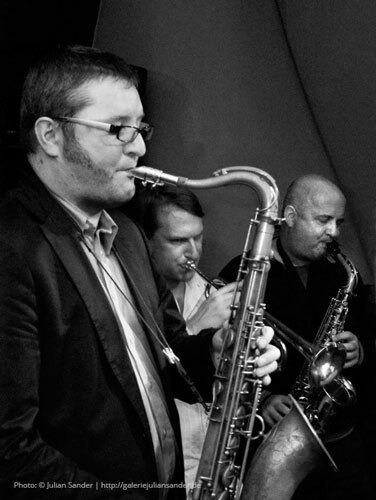 … and of course to get much deeper into the Jazz thing, learn, play and have fun! This entry was posted in Interviews, News and tagged Bonn, Jazz, Jazztube, Kimmerle. Bookmark the permalink.